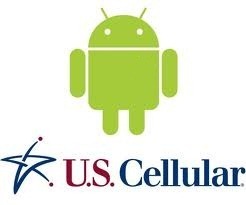 If you're a Republic Wireless customer, then you probably already know an OTA update started rolling out yesterday to the company's Motorola Defy XT (which also happens to break root – you can remedy that problem here). 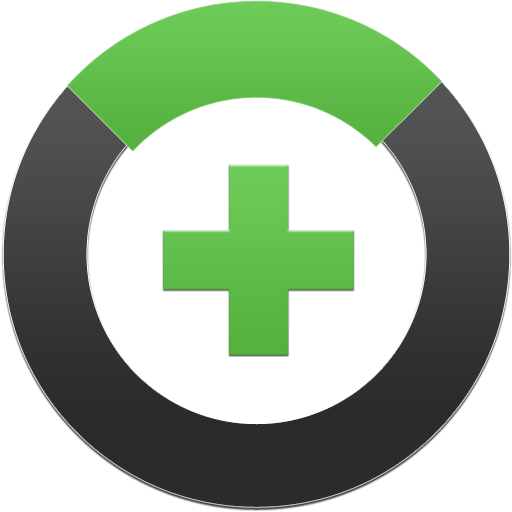 As a result of the update, Republic Wireless has also released an app into the Play Store that improves the reception on the DXT by adding a few enhancements to the way it manages calls and network connectivity. 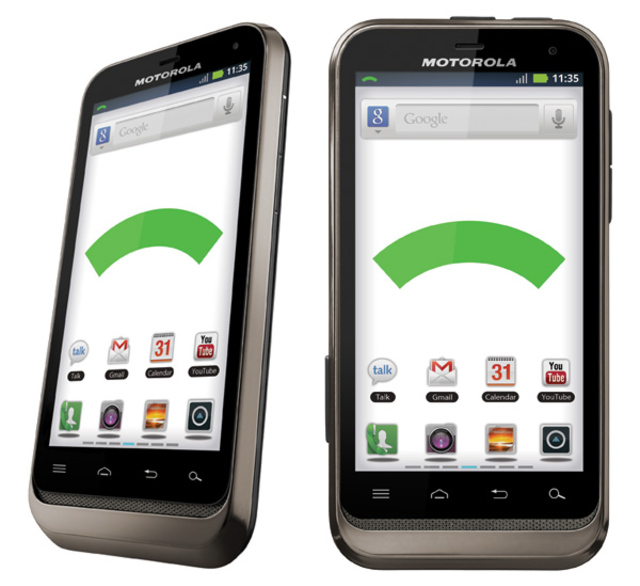 At 6:00 PM EST today, Republic Wireless will be releasing an OTA update for its single- and dual-band Motorola Defy XT. While the update will bring a slew of enhancements to the device, it also brings a not-so-desirable "fix:"breaking the root exploit uncovered by jcase back in December. That means if you're already rooted, you'll lose root during the update process, and if you haven't yet rooted, the old method will no longer work. Republic Wireless To Customers: "It's Not OK To Root Your Phone"
Just like subscribers to any other phone service provider, advanced users of the hybrid 3G/WiFi mobile virtual network Republic Wireless are eager to customize and modify their phones - probably more so, in fact. 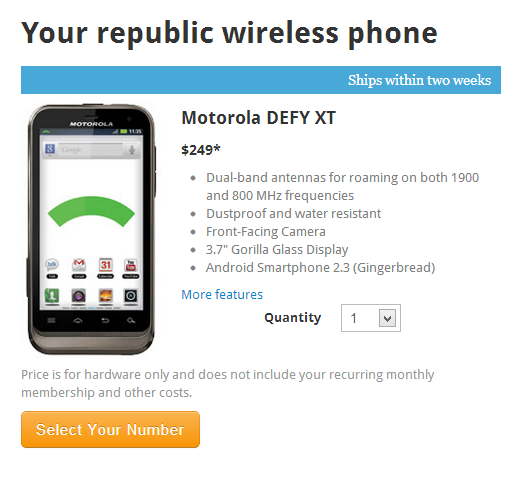 That's why we posted a rooting guide for the only Republic phone available, the Motorola Defy XT. But in a message to the Republic subscriber base, an employee clarified the company's position on rooting, custom ROMs and other modifications to the Android hardware it provides to its customers. We've talked about Republic Wireless a few times 'round here at AP. From when it was first announced, to several milestones along the way - we've followed along with what's happening at RW somewhat closely. For months, the company was in a private beta of sorts, with would-be customers signing up for their invite, and RW sending them out in waves. In November, however, the company opened its figurative doors to the world - no more waves, no beta invites. 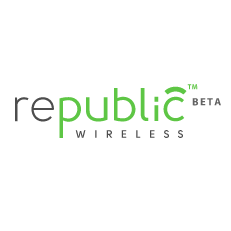 There are a lot of reasons to like Republic Wireless, the forward-looking unlimited hybrid 3G/WiFi mobile virtual network operator that started an invite-only beta earlier this year. The invite-only part is not one of them. If you've been waiting for your chance to try out Republic's super-cheap plans, then you won't have to wait much longer: the company announced on its blog that it will soon be open to all applicants. 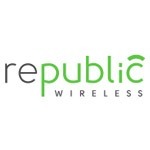 Republic Wireless, the wireless carrier that prefers WiFi for most of its connections, and utilizes Sprint 3G in the interim, has announced that it's ready to take on new customers. The company reported that "Wave A", which consists of an unspecified number of users, has been a resounding success and that they believe they've found a model on which a $19/month unlimited everything plan is sustainable. Today marks an important milestone for republic wireless.